All the Free jQuery Plugins about 'Autocomplete' are listed here. An awesome jQuery autocomplete plugin for creating an autocomplete box that automatically displays matched suggestions in a dropdown list while typing something into the input field. fuzzyComplete is a jQuery autocomplete plugin for input fields, with support for the fuzzy search functionality based on the fuse.js library. disableAutoFill is a lightweight jQuery plugin for disabling autofill and autocomplete functionalities in Google Chrome browser. A small, fast, configurable, mobile-compatible jQuery autocomplete plugin with fuzzy search support that works with both local and external data sources. bautofill is a multi-purpose autocomplete library for text box, written in jQuery. The library displays a drop-down list containing suggestions depending on the user input. An easy-to-use and AJAX-enabled autocomplete/typeahead jQuery plugin that works with input and select elements and is compatible with Bootstrap 4 and Bootstrap 3 frameworks. mentiony is a jQuery plugin that allows you to mention people in a textarea / input field like you are used to on Facebook or Twitter. Bootstrap Suggest is a jQuery plugin which allows to implement Twitter style username autocomplete/autosuggest feature on your textarea elements. A list of 10 best jQuery plugins to easily and quickly implement the Autocomplete & Typeahead functionalities on your modern web app. 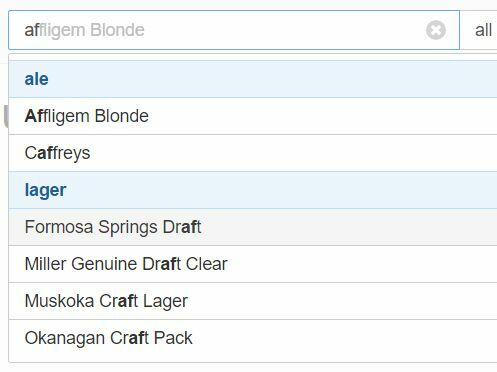 kompleter is an easy autocomplete management plugin which displays a dropdown list populated with suggestions from a data provider (e.g. JSON data) while typing. 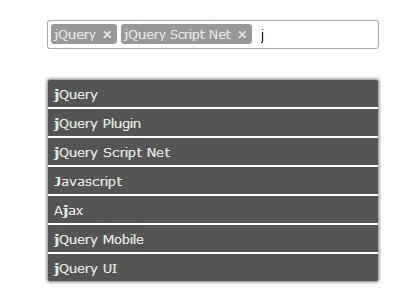 Search Suggest is a feature-rich, Ajax-enabled jQuery autocomplete / autosuggest plugin for Bootstrap framework. AutoSuggestList is a jQuery & jQuery UI based autocomplete plugin that adds an auto-suggestion box to the normal input field while typing. This is a lightweight jQuery plugin which applies a fast and dynamic autocomplete functionality to an input field styling with the Bootstrap framework. 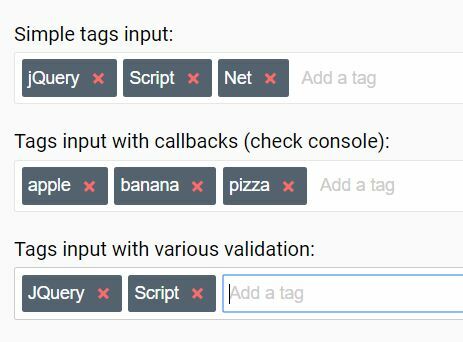 Just another jQuery typeahead plugin which provides fully customizable and AJAX-enabled autocomplete functionalities on input fields with flexible APIs. Ajax Bootstrap Select is a jQuery extension for the popular Bootstrap select plugin that enables the AJAX autocomplete (live search) functionality on the dropdown select. 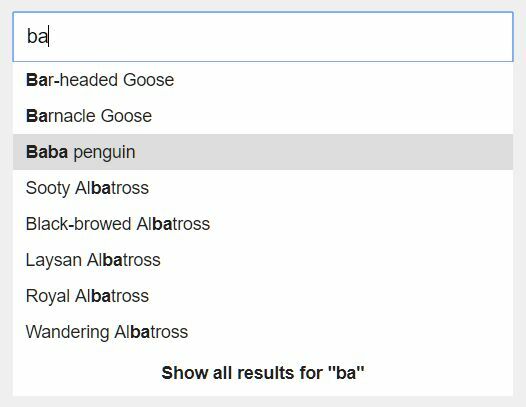 This is a lightweight, accessible, customizable, keyboard-enhanced, progressive enhancement autocomplete input plugin built using jQuery, Datalist, and ARIA attributes. 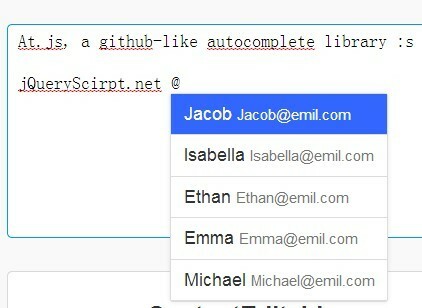 At.js is a jQuery plugin for Github style inlined autocomplete that pops up an autocomplete box at the position of the caret whenever you type a custom character in a textarea. 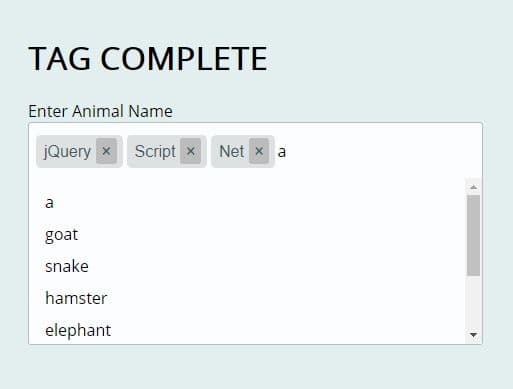 jQuery pughound.js is a small, easy and customizable jQuery autocomplete plugin for the text field that has the ability to fetch suggestions from an external data source you specify. 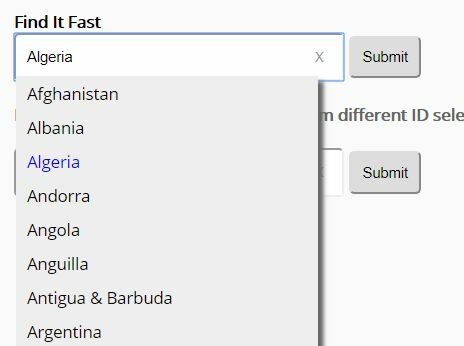 FindItFast is a jQuery plugin to provides an accessible, mobile-friendly autocomplete functionality for input field that supports both static and dynamic (via AJAX) data sources. Autocompleter is a simple, easy, customizable, cache-enabled jQuery plugin which allows you to select an item from a dropdown list populated with suggestions. jquery.ui.autocomplete.scroll.js is a jQuery extension for the jQuery UI autocomplete widget that makes the suggestion list scrollable and allows to specify the maximum number of entries to show. This is a jQuery and PHP powered autocomplete library which adds the performant, configurable, AJAX-enabled live search functionality to your text input. 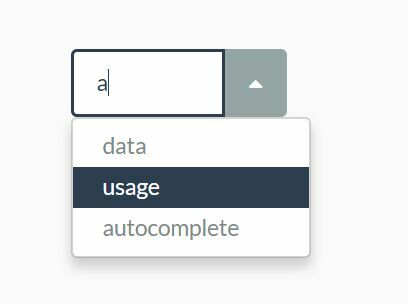 Aircomplete is an easy-to-use, AJAX-enabled jQuery Autocomplete & Typeahead plugin which automatically suggests values from the character(s) typed in the input field. autocompleteDropdown is a jQuery plugin that transforms the normal select element into a searchable dropdown list just like the autocomplete input interface. shAutocomplete is a lightweight jQuery plugin that adds the smart, fast autocomplete functionality to Bootstrap 3/4 framework. 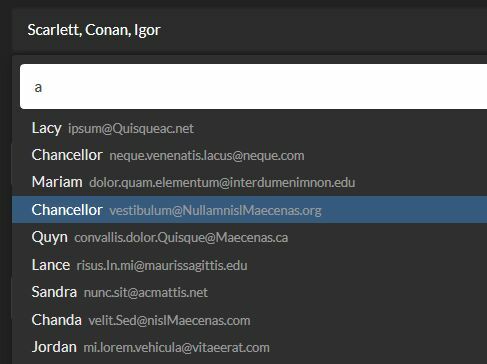 An user-friendly and mobile-friendly jQuery plugin that suggests and autocompletes the domain suffix from a list of predefined email domains while an user types into the email input field. showSuggestion is a lightweight and configurable jQuery autocomple and typeahead plugin which allows users to quickly find and select items from suggestion list as they type. 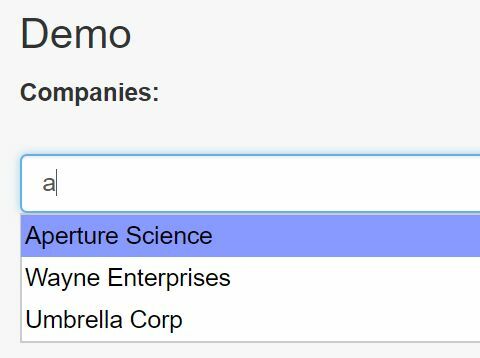 A small jQuery plugin used to create a dynamic datalist for the input field that contains a set of options representing the available values while typing. 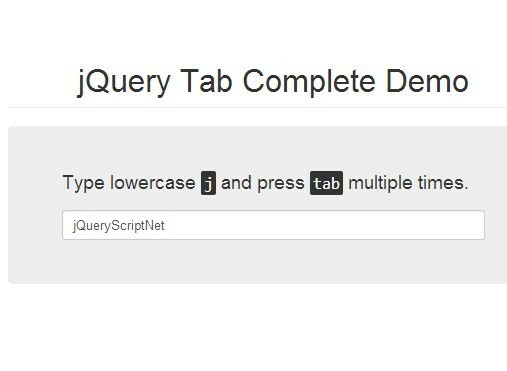 A jQuery & Bootstrap plugin that adds the AJAX-enabled typeahead & autocomplete functionality to the normal input fields. Just another jQuery autocomplete plugin for input fields that enable your users to quickly find and select items from an auto-suggestion list as they type. A jQuery plugin that attaches a dropdown list with capabilities of multi select and autocomplete to any DOM elements (e.g. input fields) when getting focused. Editable Select is a minimal jQuery select enhancement plugin for converting a regular select box into a filterable, autocomplete input field. 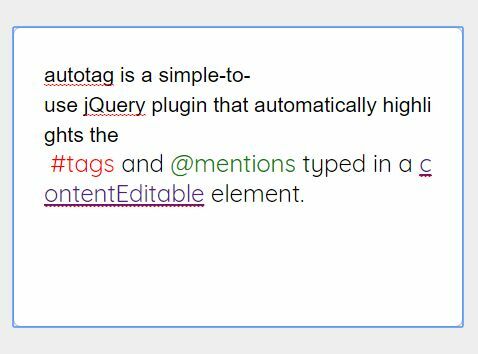 autotag is a simple-to-use jQuery plugin that automatically highlights the #tags and @mentions typed in a contentEditable element. 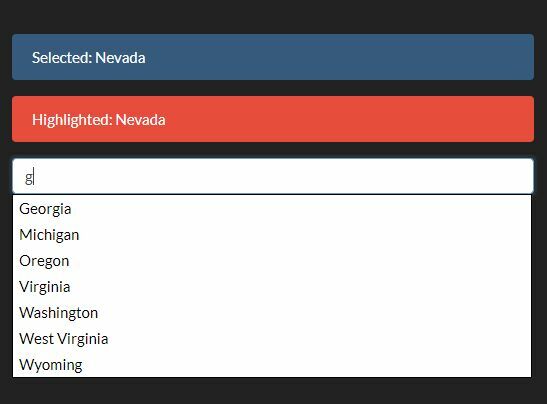 Flexselect is a simple, flexible, convenient jQuery plugin which applies the Quicksilver-style live search(autocomplete) functionality to your regular select element. An AJAX-enabled jQuery autocomplete plugin that displays an autocomplete dropdown list populated with pre-defined suggestions when typing in an input filed. 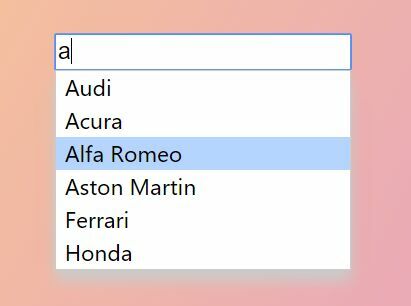 Autolist is a lightweight AJAX-driven jQuery autocomplete plugin that provides suggestions in a dropdown list when the user types something in the input field. mentions-kinder.js is a customizable jQuery plugin that allows you to @mention someone and/or #tag something in a text field as you seen on Twitter, Facebook and Google+. 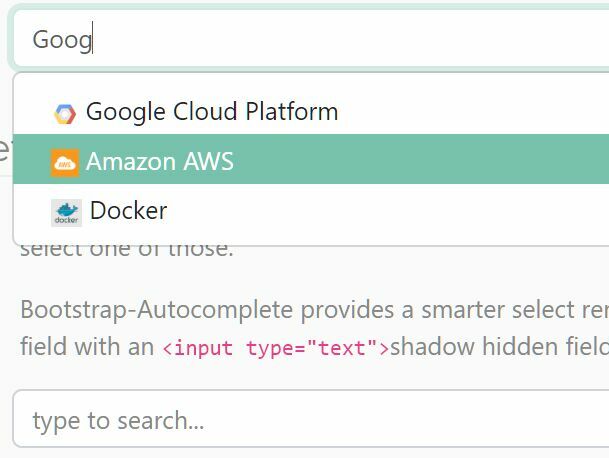 Autosuggest is a simple and fast jQuery autocomplete / typeahead plugin that allows the users to quickly find and select matched items from an autosuggest dropdown list. 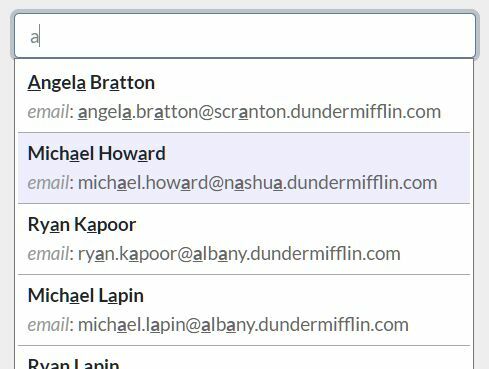 Completer is a simple yet robust jQuery plugin which allows to autocomplete input fields (emails, domains, custom strings, etc) from a dropdown suggestion box. A simple yet robust jQuery plugin that makes it easier to create autocomplete dropdown list for text input fields. A tiny, easy and flexible jQuery autocomplete & suggestion plugin with support for cache, term highlighting and Ajax requests. A simple to use jQuery rich text autocomplete plugin which populates a select dropdown with suggestions as you start entering something in a text input field. Autocomplete.js is a small jQuery autocomplete plugin for displaying a suggestion list which enables the users to complete text in sequence while typing. Omniselect is a lightweight yet highly customizable that attaches an autocomplete dropdown list to your input filed while typing. 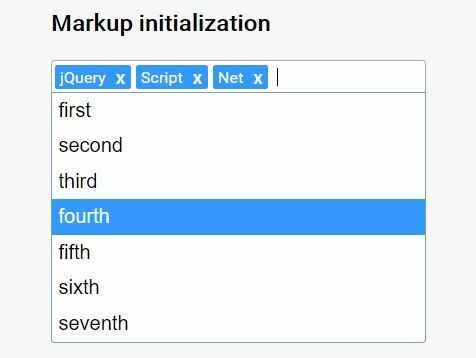 A very small jQuery plugin that extends the default jQuery UI autocomplete widget to allow multi-column suggestion dropdown list. mv-autocomplete is a minimalist jQuery autocomplete plugin which attaches a dropdown list populated with predefined suggestions to the input field while typing. tAutocomplete is a jQuery autocomplete plugin that provides suggestions from a multi-column table in a dropdown list while the visitors type into the input field. mailtip is an useful jQuery plugin that popups a suggestion box with email addresses from the auto complete list while an user types into the email input field. 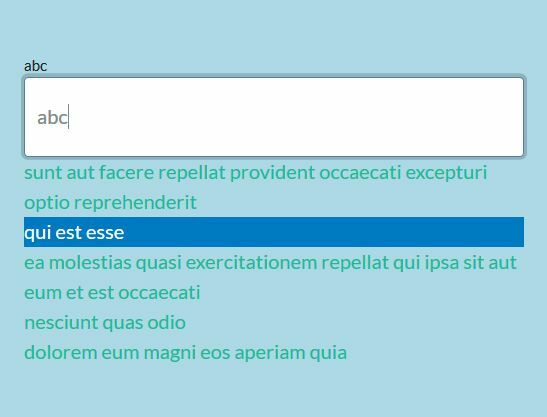 LiteSuggest is a jQuery plugin that turns a normal text input into an autocomplete field where a dropdown list displays with predefined suggestions. suggest.js is a simple-to-use jQuery plugin for auto- suggesting and completing text in an input field based on user input. 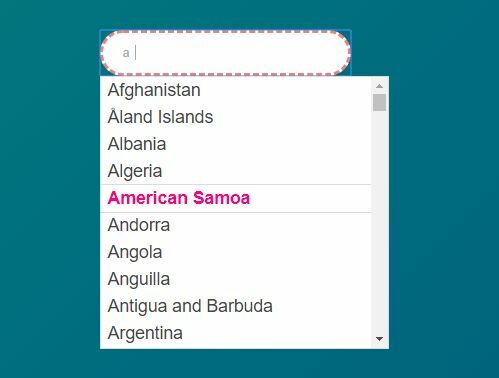 Yet another simple jQuery autocomplete plugin which provides a dropdown list populated with suggestions while you type something into an input field. Tab Complete is a simple, lightweight jQuery plugin which adds tab completion functionalities to text fields. 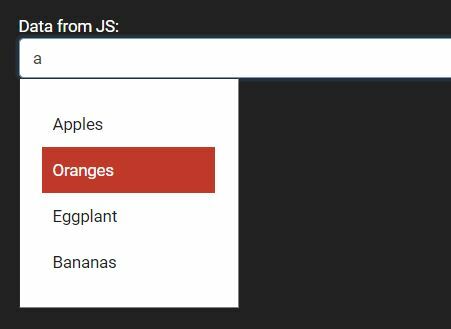 Search.js is a jQuery based live search plugin which adds an autocomplete/autosuggest box (for local JSON data) to your search input. A jQuery plugin that pops-up an auto- complete/suggest dropdown list while you start typing '@' in textarea or input textbox. 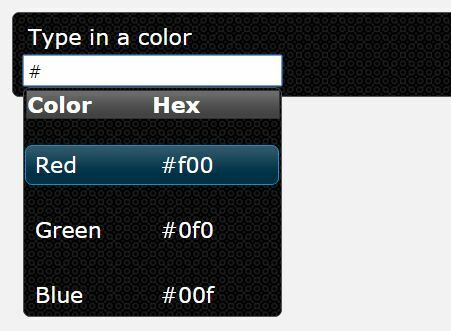 immybox is a lightweight jQuery plugin that allows you to easily create autocomplete/autosuggest select boxes for text input fields. 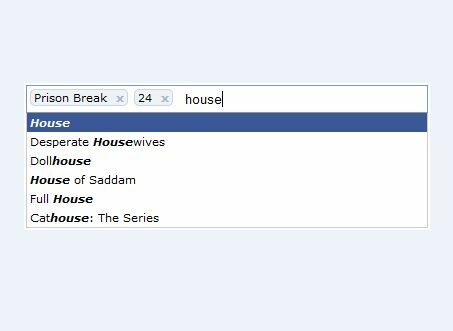 A jQuery Facebook Friend Autocomplete plugin that provides a facebook-like friend suggestion box while a currently facebook logged in user types into the input field. Yet another jQuery email autocomplete plugin to display a dropdown suggestion list which helps you quickly insert an email address. Tab Complete is a simple jQuery plugin that makes the Tab key able to select multiple items from a preset autocomplete list while typing into an input field. Autocomplete Multiselect is a plugin for jQuery & jQuery UI that turns a standard text input filed into a tokenized autocomplete box. Today I'm going to introduce a jQuery & jQuery UI script that allows you to create autocomplete/autosuggest boxes for textareas. 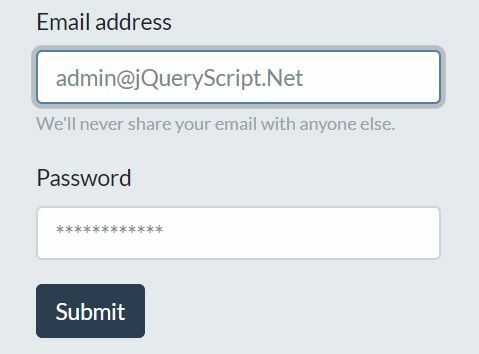 Yet another jQuery plugin designed for email fields that autocompletes email addresses from a pre-defined domain list.